prose works which latter, in the first instance, were destined to be committed to memory by the young Aryan students, and to teach them their duties. This circumstance, as well as the fact that Âpastamba's work is free from any suspicion of having been tampered with by sectarians or modern editors, and that its intimate connection with the manuals teaching the performance of the great and small sacrifices, the Srauta and Grihya-sûtras, which are attributed to the same author, is perfectly clear and indisputable, entitle it, in spite of its comparatively late origin, to the first place in a collection of Dharma-sûtras. thirty sections, called Prasnas, literally questions 1. The first twenty-four of these teach the performance of the so-called Srauta or Vaitânika sacrifices, for which several sacred fires are required, beginning with the simplest rites, the new and full moon offerings, and ending with the complicated Sattras or sacrificial sessions, which last a whole year or even longer 2. 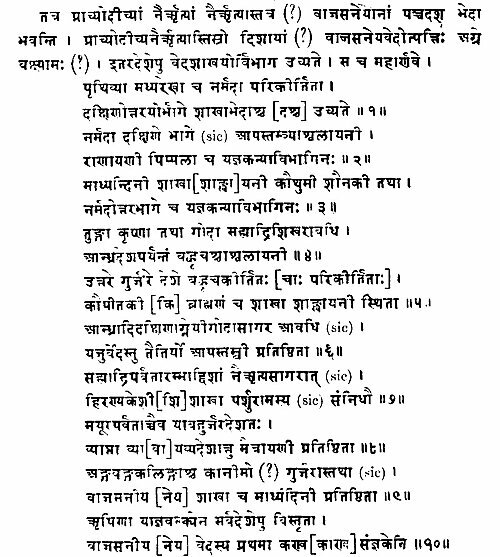 The twenty-fifth Prasna contains the Paribhâshâs or general rules of interpretation 3, which are valid for the whole Kalpa-sûtra, the Pravara-khanda, the chapter enumerating the patriarchs of the various Brahmanical tribes, and finally the Hautraka, prayers to be recited by the Hotraka priests. The twenty-sixth section gives the Mantras or Vedic prayers and formulas for the Grihya rites, the ceremonies for which the sacred domestic or Grihya fire is required, and the twenty-seventh the rules for the performance of the latter 4. The aphorisms on the sacred law fill the next two Prasnas; and the Sulva-sûtra 5, teaching the geometrical principles, according to which the altars necessary for the Srauta sacrifices must be constructed, concludes the work with the thirtieth Prasna. In the case of the Âpastamba Dharma-sûtra it is, however, not necessary to rely on its position alone, in order to ascertain its genuineness. There are unmistakable indications that it is the work of the same author who wrote the remainder of the Kalpa-sûtra. One important argument in favour of this view is furnished by the fact that Prasna XXVII, the section on the Grihya ceremonies has evidently been made very short and concise with the intention of saving matter for the subsequent sections on the sacred law. The Âpastambîya Grihya-sûtra contains nothing beyond a bare outline of the domestic ceremonies, while most of the other Grihya-sûtras, e.g. those of Âsvalâyana, Sâṅkhâyana, Gobhila, and Pâraskara, include a great many rules which bear indirectly only on the performance of the offerings in the sacred domestic fire. Thus on the occasion of the description of the initiation of Aryan students, Âsvalâyana inserts directions regarding the dress and girdle to be worn, the length of the studentship, the manner of begging, the disposal of the alms collected, and other similar questions 1. The exclusion of such incidental remarks on subjects that are not immediately connected with the chief aim of the work, is almost complete in Âpastamba's Grihya-sûtra, and reduces its size to less than one half of the extent of the shorter ones among the works enumerated above. It seems impossible to explain this restriction of the scope of Prasna XXVII otherwise than by assuming that Âpastamba wished to reserve all rules bearing rather on the duties of men than on the performance of the domestic offerings, for his sections on the sacred law. of a ceremony is prescribed, the expressions yathoktam, 'as has been stated,' yathopadesam, 'according to the injunction,' or yathâ purastât, 'as above,' are added. In four of these passages, Dh. I, 1, 4, 16; II, 2, 3, 17; 2, 5, 4; and 7, 17, 16, the Grihya-sûtra is doubtlessly referred to, and the commentator Haradatta has pointed out this fact. On the other hand, the Grihya-Sûtra refers to the Dharma-sûtra, employing the same expressions which have been quoted from the latter. Thus we read in the beginning of the chapter on funeral oblations, Grihya-sûtra VIII, 21, 1, mâsisrâddhasyâparapakshe yathopadesam kâlâh, 'the times for the monthly funeral sacrifice (fall) in the latter (dark) half of the month according to the injunction.' Now as neither the Grihya-sûtra itself nor any preceding portion of the Kalpa-sûtra contains any injunction on this point, it, follows that the long passage on this subject which occurs in the Dharma-sûtra II, 7, 16, 4-22 is referred to. The expression yathopadesam is also found in other passages of the Grihya-sûtra, and must be explained there in a like manner 1. There are further a certain number of Sûtras which occur in the same words both in the Prasna on domestic rites, and in that on the sacred law, e.g. Dh. I, 1, A; I, 1, 2, 38; I, 1, 4, 14. It seems that the author wished to call special attention to these rules by repeating them. Their recurrence and literal agreement may be considered an additional proof of the intimate connection of the two sections. to the sacrificer. In the first passage the verb, upeyât, is added, which the sense requires; in the second it has the abbreviated form, which the best MSS. of the Dharma-sûtra offer. The occurrence of the irregular word, ritve for ritvye, in all the three passages, proves clearly that we have to deal with a self-quotation of the same author. If the Dharma-sûtra were the production of a different person and a later addition, the Pseudo-Âpastamba would most probably not have hit on this peculiar irregular form. Finally, the Grihya-sûtra, too, contains several cross-references to the Srauta-sûtra, and the close agreement of the Sûtras on the Vedic sacrifices, on the domestic rites, and on the sacred, both in language and style, conclusively prove that they are the compositions of one author 1.
clearer proof that he laid no claim to the title Rishi, or inspired seer of Vedic texts. For (Dharma-sûtra I, 2, 5, 4-5 says distinctly that on account of the prevalent transgression of the rules of studentship no Rishis are born, among the Avaras, the men of later ages or of modern times, but that some, by virtue of a residue of the merit which they acquired in former lives, become similar to Rishis by their knowledge of the Veda. A man who speaks in this manner, shows that he considers the holy ages during which the great saints saw with their mind's eye the uncreated and eternal texts of the Veda to be past, and that all he claims is a thorough acquaintance with the scriptures which had been handed down to him. The same spirit which dictated this passage is also observable in other portions of the Dharma-sûtra. 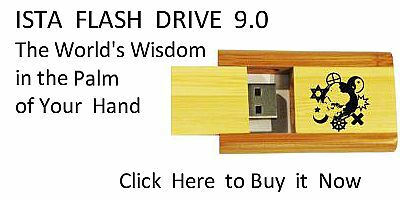 For Âpastamba repeatedly contrasts the weakness and sinfulness of the Avaras, the men of his own times, with the holiness of the ancient sages, who, owing to the greatness of their 'lustre,' were able to commit various forbidden acts without diminishing their spiritual merit 1. These utterances prove that Âpastamba considered himself a child of the Kali Yuga, the age of sin, during which, according to Hindu notions, no Rishis can be born. If, therefore, in spite of this explicit disclaimer, the Samhitâ and the Brâhmana of the Black Yagur-veda are sometimes called Âpastamba or Âpastambîya, i.e. belonging to Âpastamba, the meaning of this expression can only be, that they were and are studied and handed down by the school of Âpastamba, not that its founder was their author, or, as the Hindus would say, saw them. between 600-200 B.C., or whether we believe, as I am inclined to do, that the date of the Sûtra period differed for each Veda, still the incontestable conclusion is that the origin of the Âpastambîya school cannot be placed in the early times of the Vedic period, and probably falls in the last six or seven centuries before the beginning of the Christian era. of-eleven kinds of substitutes for a legitimate son. Illegitimate sons, the illegitimate sons of wives, the legitimate -and illegitimate offspring of daughters, and the children of relatives, or even of strangers who may be solemnly adopted, or received as members of the family without any ceremony, or be acquired by purchase, are all allowed to take the place and the rights of legitimate sons 1. Âpastamba declares his dissent from this doctrine. He allows legitimate sons alone to inherit their father's estate and to follow the occupations of his caste, and he explicitly forbids the sale and gift of children 2.
earlier one should hold the later doctrine, and the later one the earlier opinion. The contrary appears the more probable assumption. The same remarks apply to the cases of the Niyoga and of the Paisâka marriage 1.
opinion of the Mîmâmsists, is, like many similar ones, merely a statement of a fact which has not the authority of an injunction 1. If we now turn to Baudhâyana, we find that he allows of three different methods for the distribution of the paternal estate. According to him, either an equal share may be given to each son, or the eldest may receive the best part of the wealth, or, also, a preferential share of one tenth of the whole property. He further alleges that the cows, horses, goats, and sheep respectively go to the eldest sons of Brâhmanas, Kshatriyas, Vaisyas and Sûdras. As authority for the equal division he gives the first of the two Vedic passages quoted above; and for the doctrine that the eldest is to receive the best part of the estate, he quotes the second passage which Âpastamba considers to be without the force of an injunction 2. The fact that the two authors' opinions clash is manifest, and the manner in which Âpastamba tries to show that the second Vedic passage possesses no authority, clearly indicates that before his time it had been held to contain an injunction. As no other author of a Dharma-sûtra but Baudhâyana is known to have quoted it, the conclusion is that Âpastamba's remarks are directed against him. If Âpastamba does not mention Baudhâyana by name, the reason probably is that in olden times, just as in the present day, the Brahmanical etiquette forbad a direct opposition against doctrines propounded by an older teacher who belongs to the same spiritual family (vidyâvamsa) as oneself. shall avoid honey, meat, pungent condiments, &c.; he further enjoins that pupils are to obey their teachers except when ordered to commit crimes which cause loss of caste (patanîya); and he finally directs them to eat the fragments of food given to them by their teachers. As the eating of honey and other forbidden substances is not a crime causing loss of caste, it is possible that Baudhâyana himself may have considered it the duty of a pupil to eat any kind of food given by the teacher, even honey and meat. At all events the practice and doctrine which Âpastamba blames, may have been defended by the wording of Baudhâyana's rules 1.
more probable that Baudhâyana and Bhâradvâga, as well as the latter and Âpastamba, were separated by several intervening generations of teachers, who contented themselves with explaining the works of their predecessors. The distance in years between the first and the last of the three Sûtrakâras must, therefore, I think, be measured rather by centuries than by decades 1. [paragraph continues] Grihya-sûtra that a Brâhmana must, ordinarily, be initiated in his seventh year, while the rule of the Dharma-sûtra, which is identical with Âp. Dh. I, 1, 1, 18, prescribes that the ceremony shall take place in the eighth year after conception. The commentators, Mâtridatta on the Grihya-sûtra and Mahâdeva on the Dharma-sûtra, both state that the rule of the Grihya-sûtra refers to the seventh year after birth, and, therefore, in substance agrees with the Dharma-sûtra. They are no doubt right. But the difference in the wording shows that the two sections do not belong to the same author. The same inference may be drawn from the fact that the Hiranyakesi Grihya-sûtra, which is much longer than Âpastamba's, includes a considerable amount of matter which refers to the sacred law, and which is repeated in the Dharma-sûtra. According to a statement which I have heard from several learned Brâhmanas, the followers of Hiranyakesin, when pronouncing the samkalpa or solemn pledge to perform a ceremony, declare themselves to be members of the Hiranyakesi school that forms a subdivision of Âpastamba's (âpastambântargatahiranyakesisâkhâdhyâyî . . . aham). But I have not been able to find these words in the books treating of the ritual of the Hiranyakesins, such as the Mahesabhattî. If this assertion could be further corroborated, it would be an additional strong proof of the priority of Âpastamba, which, however, even without it may be accepted as a fact 1. The distance in time between the two teachers is probably not so great as that between Âpastamba and Baudhâyana, as Mahâdeva mentions no intermediate Sûtrakâra between them. Still it is probably not less than 100, or 150 years. examination of the quotations from and references to Vedic and other books contained in Âpastamba's Sûtras, and especially in the Dharma-sûtra. We find that all the four Vedas are quoted or referred to. The three old ones, the Rik, Yagus, and Sâman, are mentioned both separately and collectively by the name trayî vidyâ, i.e. threefold sacred science, and the fourth is called not Atharvâṅgirasah, as is done in most ancient Sûtras, but Atharva-veda 1. The quotations from the Rik and Sâman are not very numerous. But a passage from the ninth Mandala of the former, which is referred to Dh. I, 1, 2, 2, is of some extent, and shows that the recension which Âpastamba knew, did not differ from that which still exists. As Âpastamba was an adherent of the Black Yagur-veda, he quotes it, especially in the Srauta-sûtra, very frequently, and he adduces not only texts from the Mantra-Samhitâ, but also from the Taittirîya-Brâhmana and Âranyaka. The most important quotations from the latter work occur Dh. II, 2, 3, 16-II, 2, 4, 9, where all the Mantras to be recited during the performance of the Bali-offerings are enumerated. Their order agrees exactly with that in which they stand in the sixty-seventh Anuvâka of the tenth Prapâthaka of the recension of the Âranyaka which is current among the Ândhra Brâhmanas 2. This last point is of considerable importance, both for the history of the text of that book and, as we shall see further on, for the history of the Âpastambîya school. in many details 1. The cause of these discrepancies remains doubtful for the present 2. As regards the Atharva-veda, Âpastamba gives, besides the reference mentioned above and a second to the Âṅgirasa-pavitra 3, an abstract of a long passage from Atharva-veda XV, 10-13, regarding the treatment of a Vrâtya, i.e. a learned mendicant Brâhmana, who really deserves the title of an atithi, or guest 4. It is true that Âpastamba, in the passage referred to, does not say that his rule is based on the Atharva-veda. He merely says that a Brâhmana is his authority. But it seems, nevertheless, certain that by the expression a Brâhmana, the Brâhmana-like fifteenth book of the Atharva-veda is meant, as the sentences to be addressed by the host to his guest agree literally with those which the Atharva-veda prescribes for the reception of a Vrâtya. Haradatta too, in his commentary, expresses the same opinion. Actual quotations from the Atharva-veda are not frequent in Vedic literature, and the fact that Âpastamba's Dharma-sûtra contains one, is, therefore, of some interest. Besides these Vedic texts 5, Âpastamba mentions, also, the Aṅgas or auxiliary works, and enumerates six classes, viz. treatises on the ritual of the sacrifices, on grammar, astronomy, etymology, recitation of the Veda, and metrics 6. The number is the same as that which is considered the correct one in our days 7. [paragraph continues] Vârshyâyani, Svetaketu, and Hârita 1. Some of these persons, like Hârita and Kânva, are known to have composed Sûtras on the sacred law, and fragments or modified versions of their works are still in existence, while Kânva, Kautsa, Pushkarasâdi or Paushkarasâdi, as the grammatically correct form of the name is, and Vârshyâyani are quoted in the Nirukta, the Prâtisâkhyas, and the Vârttikas on Pânini as authorities on phonetics, etymology, and grammar 2. Kânva, finally, is considered the author of the still existing Kalpa-sûtras of the Kânva school connected with the White Yagur-veda. It seems not improbable that most of these teachers were authors of complete sets of Aṅgas. Their position in Vedic literature, however, except as far as Kânva, Hârita, and Svetaketu are concerned, is difficult to define, and the occurrence of their names throws less light on the antiquity of the Âpastambîya school than might be expected. Regarding Hârita it must, however, be noticed that he is one of the oldest authors of Sûtras, that he was an adherent of the Maitrâyanîya Sâkhâ 3, and that he is quoted by Baudhâyana, Âpastamba's predecessor. The bearing of the occurrence of Svetaketu's name will be discussed below. in several other cases he adopts a line of reasoning which fully agrees with that followed in Gaimini's Mîmâmsâ-sûtras. Thus the arguments 1, that 'a revealed text has greater weight than a custom from which a revealed text may be inferred,' and that 'no text can be inferred from a custom for which a worldly motive is apparent,' exactly correspond with the teaching of Gaimini's Mîmâmsâ-sûtras I, 3, 3-4. The wording of the passages in the two works does not agree so closely that the one could be called a quotation of the other. But it is evident, that if Âpastamba did not know the Mîmâmsâ-sûtras of Gaimini, he must have possessed some other very similar work. As to the Vedânta, Âpastamba does not mention the name of the school. But Khandas 22, 23 of the first Patala of the Dharma-sûtra unmistakably contain the chief tenets of the Vedântists, and recommend the acquisition of the knowledge of the Âtman as the best means for purifying the souls of sinners. Though these two Khandas are chiefly filled with quotations, which, as the commentator states, are taken from an Upanishad, still the manner of their selection, as well as Âpastamba's own words in the introductory and concluding Sûtras, indicates that he knew not merely the unsystematic speculations contained in the Upanishads and Âranyakas, but a well-defined system of Vedântic philosophy identical with that of Bâdarâyana's Brahma-sûtras. The fact that Âpastamba's Dharma-sûtra contains indications of the existence of these two schools of philosophy, is significant as the Pûrvâ Mîmâmsâ occurs in one other Dharma-sûtra only, that attributed to Vasishtha, and as the name of the Vedânta school is not found in any of the prose treatises on the sacred law. [paragraph continues] Purâna in general are not unfrequent in other Sûtras on the sacred law, and even in older Vedic works. But Âpastamba, as far as I know, is the only Sûrakâra who specifies the title of a particular Purâna, and names one which is nearly or quite identical with that of a work existing in the present day, and he is the only one, whose quotations can be shown to be, at least in part, genuine Paurânic utterances. authority was the original on which the existing Upa-purâna is based. And in favour of this view it may be urged that passages, similar to Âpastamba's quotation, actually occur in our Paurânic texts. In the Gyotishprakâra section of several of the chief Purânas we find, in connection with the description of the Path of the Manes (pitriyâna) 1, the assertion that the pious sages, who had offspring and performed the Agnihotra, reside there until the general destruction of created things (â bhûtasamplavât), as well as, that in the beginning of each new creation they are the propagators of the world (lokasya samtânakarâh) and, being re-born, re-establish the sacred law. Though the wording differs, these passages fully agree in sense with Âpastamba's Bhavishyat-purâna which says, 'They (the ancestors) live in heaven until the (next) general destruction of created things. At the new creation (of the world) they become the seed.' In other passages of the Purânas, which refer to the successive creations, we find even the identical terms used in the quotation. Thus the Vâyup., Adhy. 8, 23, declares that those beings, which have gone to the Ganaloka, 'become the seed at the new creation' (punah sarge . . . bîgârtham tâ bhavanti hi). regarding those who, remaining chaste, gained immortality 1. In this case Âpastamba's quotation can be restored almost completely, if certain interpolations are cut out. And it is evident that Âpastamba has preserved genuine Paurânic verses in their ancient form. A closer study of the unfortunately much neglected Purânas, no doubt, will lead to further identifications of other quotations, which will be of considerable interest for the history of Indian literature. of the Âpastambya (read Âpastambîya) sâkhâ, a scion of the Vasishtha gotra 1.' Further, the eastern Kâlukya king Vigayâditya II 2, who ruled, according to Dr. Fleet, from A-D. 799-843, presented a village to six students of the Hiranyakesi-sûtra and to eighteen students of the Âpastamba, recte the Âpastamba-sûtra. Again, in the abovementioned earlier grant of the Pallava king Nandivarman, there are forty-two students of the Âpastamba-sûtra 3 among the 108 sharers of the village of Udayakandramaṅgalam. Finally, on an ancient set of plates written in the characters which usually are called cave-characters, and issued by the Pallava king Simhavarman II, we find among the donees five Âpastambhîya Brâhmanas, who, together with a Hairanyakesa, a Vâgasaneya, and a Sâma-vedî, received the village of Maṅgadûr, in Veṅgŏrâshtra 4. This inscription is, to judge from the characters, thirteen to fourteen hundred years old, and on this account a very important witness for the early existence of the Âpastambîyas in Southern India. out above that the recension of the Taittirîya Âranyaka which Âpastamba recognises is that called the Ândhra text or the version current in the Ândhra country, by which term the districts in the south-east of India between the Godâvarî and the Krishnâ have to be understood 1. Now it seems exceedingly improbable that a Vedic teacher would accept as authoritative any other version of a sacred work except that which was current in his native country. it would therefore follow, from the adoption of an Ândhra text by Âpastamba, that he was born in that country, or, at least, had resided there so long as to have become naturalised in it. With respect to this conclusion it must also be kept in mind that the above-quoted passage from the Mahârnava particularly specifies the Ândhra country (ândhrâdi) as the seat of the Âpastambîyas. It may be that this is due to an accident. But it seems to me more probable that the author of the Mahârnava wished to mark the Ândhra territory as the chief and perhaps as the original residence of the Âpastambîyas. spread of the Aryan civilisation to the eastern coast-districts between the Godâvarî and the Krishnâ is proved by the inscriptions on the Bhattiprolu relic caskets, which probably belong to the period of 200 B.C. 1 Numerous inscriptions in the Buddhist caves of Western India 2, as well as coins, prove the existence during the last centuries before, and the first centuries after, the beginning of our era of a powerful empire of the Andhras, the capital of which was probably situated near the modern Amarâvati an the lower Krishnâ. The princes of the latter kingdom, though great patrons of the Buddhist monks, appear to have been Brahmanists or adherents of the ancient orthodox faith which is founded on the Vedas. For one of them is called Vedisiri (vedisrî), 'he whose glory is the Vedi,' and another Yañasiri (yagñasrî), 'he whose glory is the sacrifice,' and a very remarkable inscription on the Nânâghât 3 contains a curious catalogue of sacrificial fees paid to priests (dakshinâ) for the performance of Srauta sacrifices. For the third and the later centuries of our era the information regarding Southern India becomes fuller and fuller. Very numerous inscriptions, the accounts of the Buddhist chroniclers of Ceylon, of the Greek geographers, and of the Chinese pilgrims, reveal the existence and give fragments, at least, of the history of many kingdoms in the south, and show that their civilisation was an advanced one, and did not differ materially from that of Northern India. authentic history of India begins, about 500 B.C., with the Persian conquest of the Pañgab and Sindh. It may be added that a not inconsiderable period must have elapsed after the conquest of the south, before the Aryan civilisation had so far taken root in the conquered territory, that, in its turn, it could become a centre of Brahmanical activity, and that it could produce new Vedic schools. These considerations will show that it is necessary to allow for Âpastamba a much higher antiquity than the first century B.C. offences against the rules of internal and external Sandhi, e.g. in agrihyamânakâranah, I, 4, 12, 8; in skuptvâ, I, 11, 31, 22, the irregular absolutive of skubh or of sku; in pâdûna, I, 1, 2, 13; in adhâsanasâyin, I, 19, 2, 21 and in sarvatopeta, I, 6, 19, 8; the neglect of the rule requiring vriddhi in the first syllable of the name Pushkarasâdi, I, 10, 28, 1; the irregular instrumentals vidyâ, I, 11, 30, 3, for vidyayâ, and nihsreyasâ, II, 7, 16, 2, for nihsreyasena; the nominatives dual âvam, I, 7, 20, 6, for âvâm, and kruñkakrauñka, I, 5, 17, 36 for °krauñkau; and the potentials in îta, such as prakshâlayîta, I, 1, 2, 28; abhiprasârayîta, I, 25 6, 3, &c.
[paragraph continues] Prakrit languages, are, aviprakramina, II, 2, 5, 2, for aviprakramana, where an a standing in thesi has been changed to i; sâmvrittih, II, 3, 6, 13, sâmvartete, II, 5, 11, 20, and paryânta, I, 3, 9, 21, and I, 3, 11, 33 (compare Marâthi âmt for antah), in each of which a standing before a nasal has been lengthened; anika, I, 6, 19, 1, the initial a of which stands for ri, if it really has the meaning of rinika, as some commentators asserted; anulepana, I, 3, 11, 13; I, 11, 32, 5, with the Prakritic change of na to na; vyupagâva, I, 2, 8, 15, with va for pa; ritve for ritvye, where y seems to have been absorbed by the following e; apassayîta, I, 11, 32, 16, for apâsrayita, and bhatrivyatikrama, I, 10, 28, 20, where r has been assimilated to the preceding, or has been lost before the following consonant. The irregularities in the construction are less frequent. But in two Sûtras, I, 3, 10, 2, and I, 3, 11, 31, some words which ought to stand in the locative case have the terminations of the nominative, and it looks as if the author had changed his mind about the construction which he meant to use. In a third passage II, 10, 26, 20, sisnakkhedanam savrishanasya, the adjective which is intended to qualify the noun sisna has been placed in the genitive case, though the noun has been made the first part of a compound. [paragraph continues] Vedic schools or of his particular school, he must have either been unacquainted with Pânini or have considered his teachings of no great importance. In other words, he must either have lived earlier than Pânini or before Pânini's grammar had acquired general fame throughout India, and become the standard authority for Sanskrit authors. In either case so late a date as 150 B. C. or the first century B.C. would not fit. For Patañgali's Mahâbhâshya furnishes abundant proof that at the time of its composition, in the second century B.C., Pânini's grammar occupied a position similar to that which it holds now, and has held since the beginning of our era in the estimation of the learned of India. On linguistic grounds it seems to me Âpastamba cannot be placed later than the third century B.C., and if his statement regarding Svetaketu is taken into account, the lower limit for the composition of his Sûtras must be put further back by 150-200 years. hazardous to impute to a man, like Kumârila, ignorance or spite against Âpastamba, I am inclined to assume that the great Mîmâmsaka refers to some other work, attributed to Âpastamba, perhaps the metrical Âpastamba-smriti which Aparârka quotes very frequently 1. Among the commentators on Smritis the oldest, who quote the Dharma-sûtra, are Medhâtithi, the author of the Manubhâshya, and Vigñânesvara, who composed the Mitâksharâ, the well-known commentary on Yâgñavalkya's Dharma-sâstra during the reign of the Kâlukya king Vikramâditya VI, of Kâlukya towards the end of the eleventh century. From that time downwards Âpastamba is quoted by almost every writer on law. But the whole text, such as it is given in my edition 2, is vouched for only by the commentator Haradatta, who wrote his Uggvalâ Vritti, at the latest, in the fifteenth century A.D. or possibly 100 years earlier 3 . Haradatta was, however, not the first commentator of the Dharma-sûtra. He frequently quotes the opinions of several predecessors whom he designates by the general expressions anyah or aparah, i.e. another (writer). The fact that the Uggvalâ was preceded by earlier commentaries which protected the text from corruption, also speaks in favour of the authenticity of the latter, which is further attested by the close agreement of the Hiranyakesi Dharma-sûtra, mentioned above. xxxii:1 An abbreviated version of the same verses, ascribed to the Paurânikas, occurs in Saṅkarâkârya's Comm. on the Khândogya Up., p. 336 (Bibl. Ind. ).